From the zinging one-liners to its slapstick brilliance, this boisterous and raucous comedy about the theft of a valuable painting from a society dinner party is quintessential Marx Brothers mayhem. 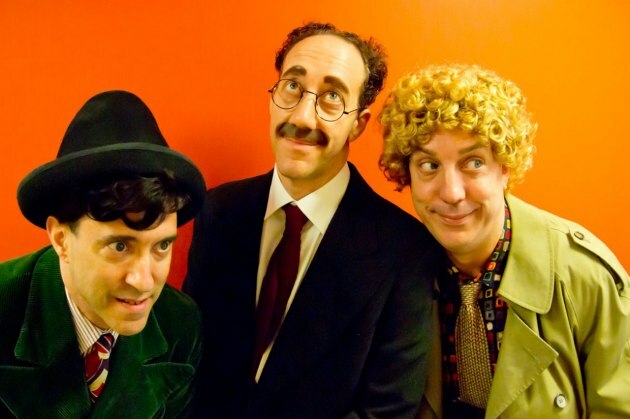 Watch Groucho, Harpo, Chico, and Zeppo Marx come to life before your eyes—right before they tear up from laughter. Learn more at the website for the DCPA. Please reserve tickets with Dorothy Stenman by April 15, 2014. Make your check payable to the Rocky Mountain Synod in the amount of $34.00 and mail it to Dorothy Stenman at 818 Logan Street – #1103; Denver, CO 80203.